This is how the non-crafty people can fake a DIY lifestyle. 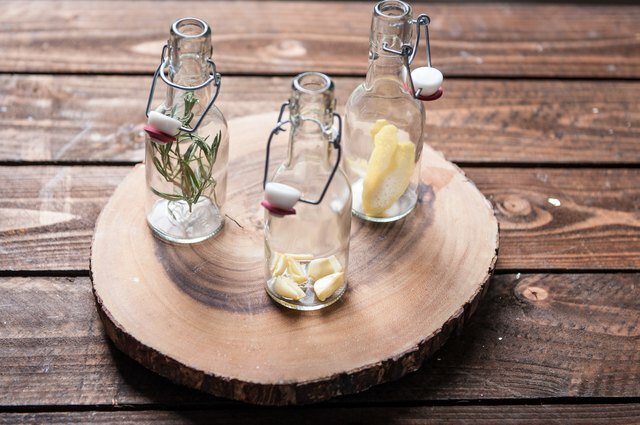 Just a few easy steps and you can make your very own homemade olive oil infusions. You don't have to limit yourself to these ingredients -- get creative! Add dried chilies, orange peels, peppercorns, whatever your tastes lean towards. It'll also give you an excuse to go out and buy those cute little jars you've had your eye on. Plus, these make the perfect holiday or hostess gifts. You'll look like a super star, especially if you can add some fun labels to the bottles. Does your garlic have a small green sprout inside? Just remove it. Although it's completely edible, it tends to add bitterness. 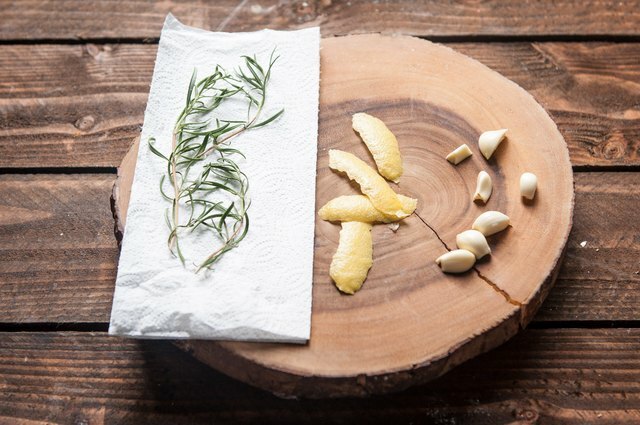 Wash and dry the herbs very well to remove any dirt. Peel 3 to 4 large sections of citrus peel with a fruit peeler. Wash and dry the rinds very well. Peel the garlic and chop in half. Add 1 ½ cups of oil plus just one of the infusion ingredients. Heat to 140 degrees Fahrenheit, remove from heat and allow to cool. Repeat for all infusions. Remove the infusion ingredients from the oil and add to the jars. This will make filling the jars with oil much easier. 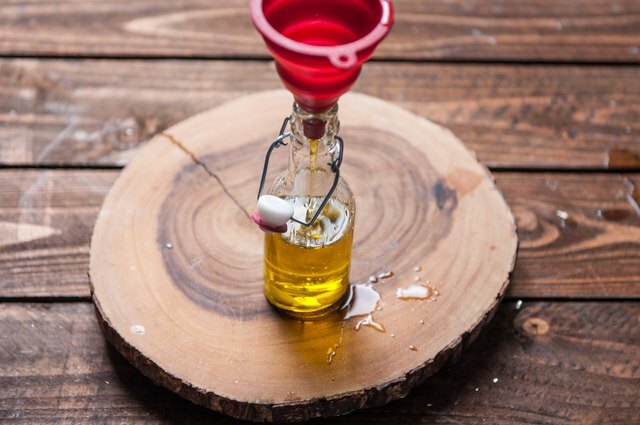 Using a funnel, pour the olive oil into the jars until filled. Seal the jars and refrigerate until ready to use. 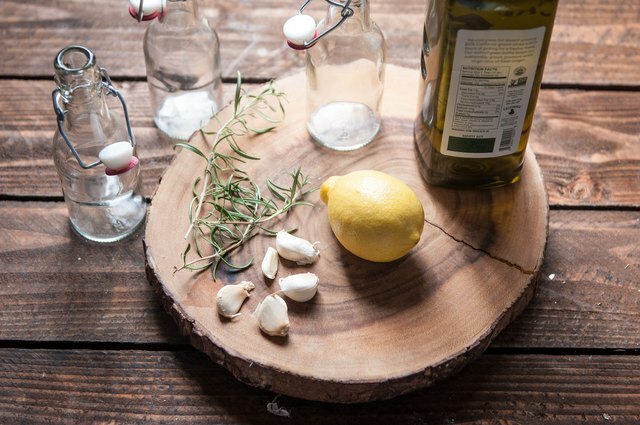 Flavored olive oil has much shorter shelf life that the traditional variety. 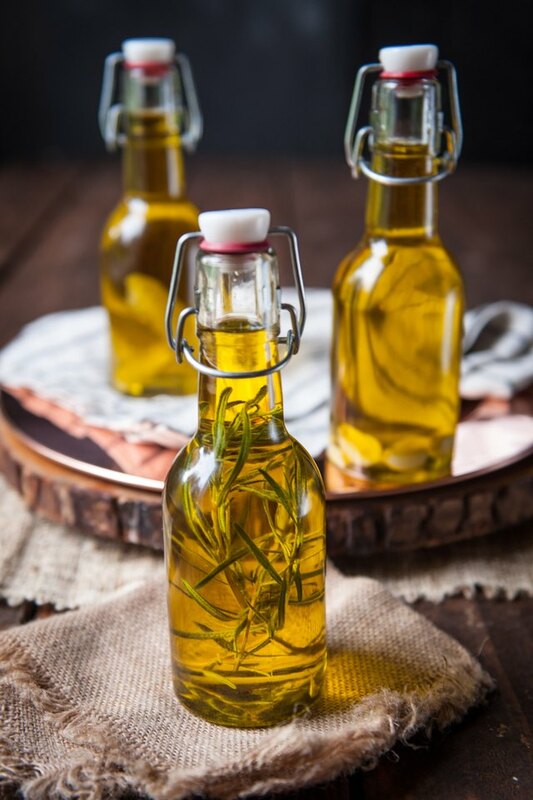 Plan to use your flavored oil as soon as possible, and store in the fridge for up to one month. Oil will go bad without any change in smell or taste (but can cause you to get sick), so make sure to toss the unused oil after a month. Want it to last longer? Use canola oil instead, which will last for up to two months when refrigerated. 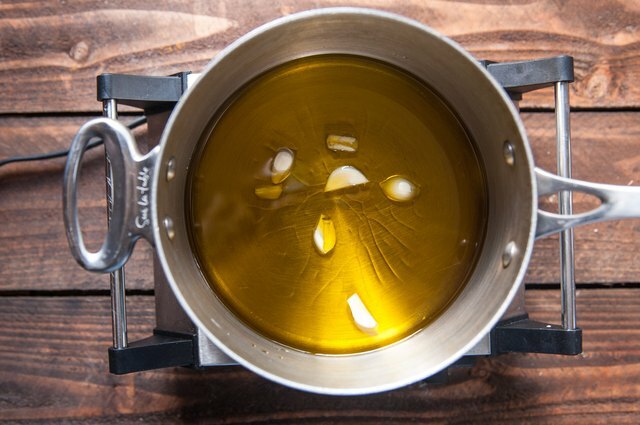 Do You Need to Refrigerate Infused Olive Oil?